Ever wonder what it takes to rank high in the search engines? Ranking factors, despite being perceived as a great mystery, are in reality relatively straight forward. Create great content, get people to link to it, make sure your business listings are in order and you’re all set! Of course, I’m oversimplifying things. There’s a bit more to it than this, however knowing what the search engines are looking at provides a perfect place to start. Every year the top SEO service providers pull their shared experiences, tests, and case studies to produce a Top Ranking Factors list. For local business owners, this list is a valuable resource for deciding where to spend time and budget to put your business in the best possible position to be found in the search engines. 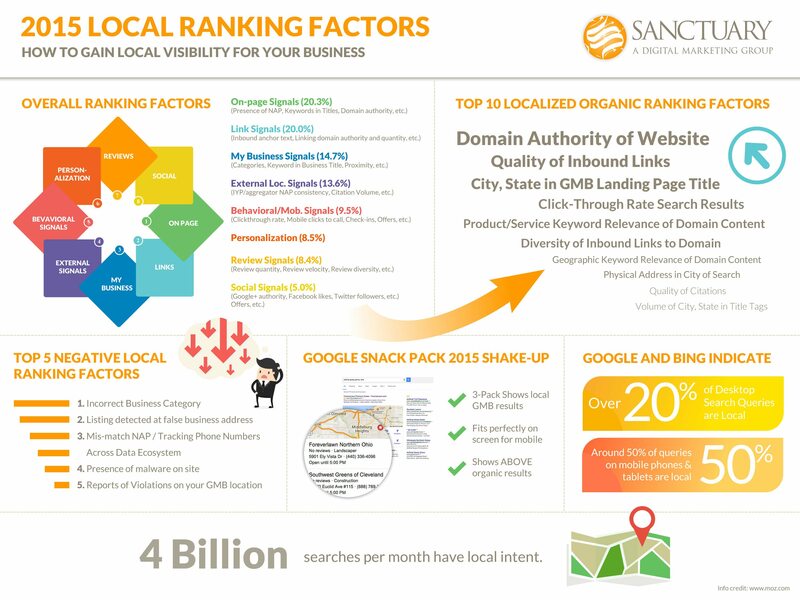 Check out this infographic on the top Local Ranking Factors. Sanctuary provides optimization services for local businesses. 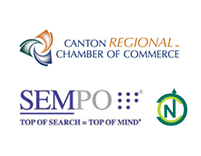 Let us help you get your business showing up at the top of the search engines.